Our mission – to create beautiful wedding photography which captures the essence of your day. From the word go, our aim is to help your day run smoothly and look beautiful. Tell us what’s important and unique to you – we love to hear your ideas so we can understand your vision and translate this into creating fabulous natural images. Importantly, we also know just how to put you at ease so you can relax and enjoy! All of your images will be carefully edited and colour corrected to make sure you look fabulous, and while we can arrange your printing and wedding albums, we do give you the option of taking your images away with you. We also like to take a portrait of the couple at sunset, a great time for lighting – but also a peaceful interlude after a day that can really rush by. 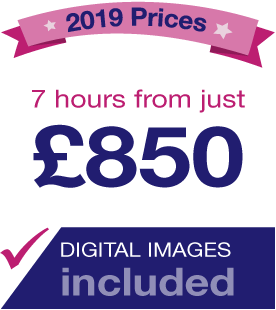 Our charge for the day is £850 – and for this you receive a copy of your fully edited images on CD. We are always happy to stay later in to the evening, capturing the evening entertainment and including the evening guests. We charge £50 for each additional hour. Our first step is to meet over a coffee where we can talk through your ideas and get to know each other. After all, we will be part of your support team on the day so it’s important to get to know each other. Please call or email to arrange a friendly meeting, where we can discuss your ideas and show you some of our work.